I realize that my wardrobe will be a bit limited in the coming months. At the same time I want to limit my shopping. 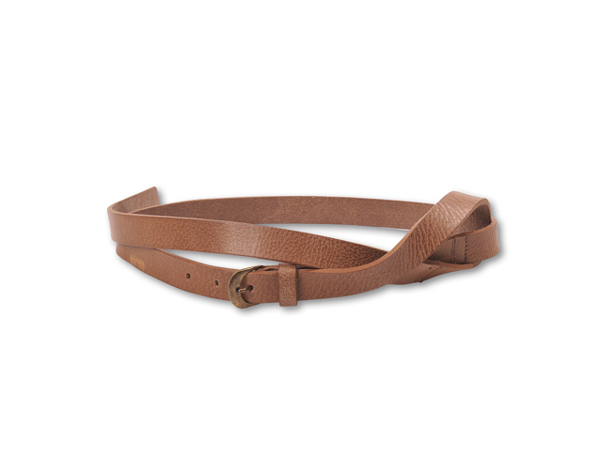 I have been wanting a thin brown leather belt lately though - just like the one above, bought a couple of weeks ago at one of my favorite stores in Bergen, Vrimmel. It's from a new to me Danish brand called Black Lily, which has lots of nice accessories. Actually, I bought another belt from this brand recently. A thin grey braided belt, bought at another favorite shop here in Bergen, Berthas Oldebarn at Sletten senter. I figured I can still belt my tops and dresses whilst pregnant, right? Inspired by the ever stylish Kendi. Så herlig, Astrid! Gratulerer med baby i magen:-) Jeg er langt inne i ammetåka selv nå, men det er fint og! klart beltene kan brukes! du blir fin.